E.F.I organizes environment volunteering programs every weekend. From Delhi to Thiruvananthapuram, Bengal to Gujarat we are volunteering at a lake/pond/beach/forest near you. Take time out over weekends to join a gang of nation builders, nature enthusiasts to conserve what is left. a. Students from India: School or University you are all welcome to volunteer for India's Environment with E.F.I. Through our Science Badge program we welcome you to participate in E.F.I's projects. Ranging from weekend clean ups, wall painting to plantation, you can also join our team to shoot documentaries, wildlife photograph documentation and street theater performances. c. Employee Volunteering: As a team of co-workers you all are welcome to join us for our volunteering efforts through the week. 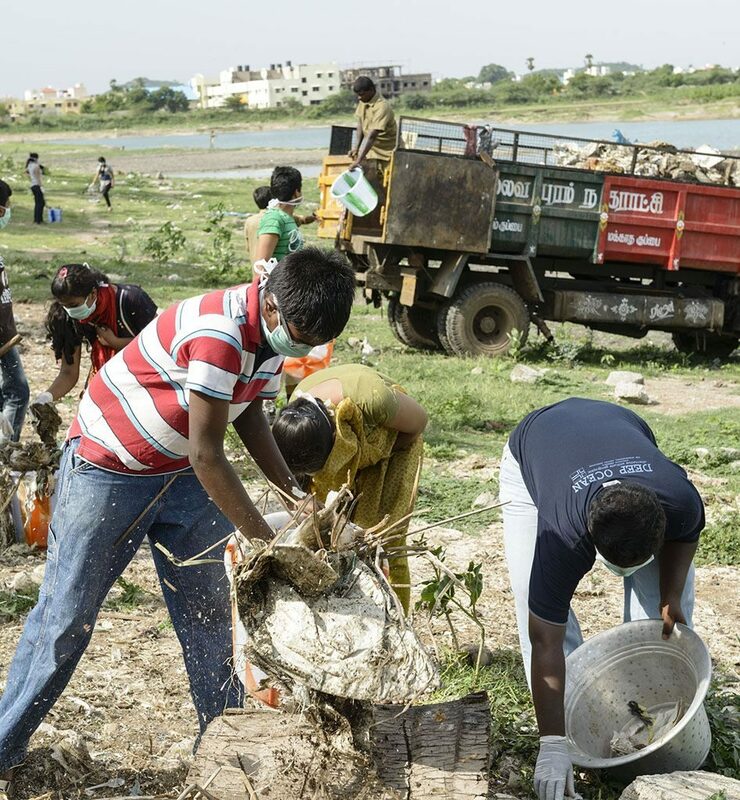 Hyderabad-Bangalore-Pune-Kolkata-Delhi-Chennai-Coimbatore-Ahmedabad and Chandigarh branches of E.F.I hosts a large set of volunteers from across businesses to participate in environment conservation efforts. d. Senior citizen volunteering: Post retirement if you have the time to spare, come join this young team. Your years of wisdom can be put to good use for India's environment through E.F.I. Find the 'Human' in your Being, Volunteer. Collaborative conservation is the only way forward. Positive, planet supporting efforts are the need of the hour. Strengthen our efforts in Volunteering for India & her Environment. Lakes, Ponds, Rivers, Forests in India have supported us, its time we volunteered to conserve what is left.